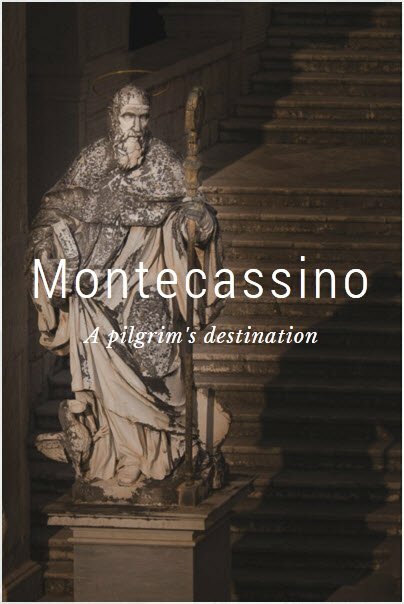 Montecassino Abbey is an impressive work of art with extraordinary mosaics, carvings and frescoes, as well as a thriving Benedictine monastery. Founded by Saint Benedict in the Sixth Century, it has been a place of learning and pilgrimage ever since. Today, it is the final destination for pilgrims traveling the Cammino di San Benedetto, one of the Italian Wonder Ways. Click here or on the photo above for a sampler of the wonders of this remarkable place. The Way of Saint Benedict begins in Norcia, Umbria, the birthplace of the saint in the fifth century. The hilltop town is in ruins after the earthquakes of August and October 2016, but the Association of Friends of the Way of St. Benedict invites donations toward to rebuild the pilgrims’ Hostel Capisterium, irreparably damaged in the quakes. You can help! Click here to donate by bank transfer.